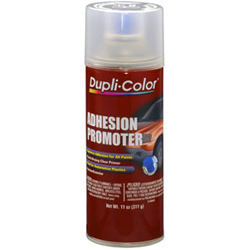 Offering Adhesion Promoter Primer, we have gained much popularity from our clients for providing quality based product. These primers comprise quality processed synthetic primer options that are used for covering of rusting steel pipe and support enhancing adhesive to pipe. Primer is water-based wall coating suitable for application on exteriors as an undercoat to exterior emulsions. It has a good opacity and whiteness. We founded our organization, Selmex Industries, in the year 1967, as a prime manufacturer, trader and supplier of Packaging Materials. Under this range, we offer clients Packaging Tapes, Air Bubble Bags and Roll and Packaging Products. The offered range of products is manufactured using finest quality raw materials and advanced technology. We procure raw materials from the leading vendors as it’s the one thing which contributes in the quality of products. Our range is highly acclaimed among the clients for their fine finishing, high adhesive property and durability. To meet the variegated demands of our clients, we are offering our complete range in various sizes and specifications. To carry out our all business operations, we have constructed a sophisticated infrastructure facility. Segregated into various divisions, our all business operations are executed by the experienced professionals. Due to the hard work of our professionals, we have garnered a vast clientele in India.